Sergio G. Sanchez’s Gothic Horror is an underappreciated masterpiece that gets better by the second. Like many other movies within the Gothic genre, The Secrets of Marrowbone (originally titled Marrowbone) focuses on four siblings living in an eerie, isolated house up in the moors, with unusually dark and slightly supernatural events taking place. Lovers of psychological thrillers will also appreciate Marrowbone, as there are many psychological thriller elements and amazingly written plot twists. Unlike most of today’s horrors, Marrowbone doesn’t feel the need to create cheap jump-scares or overly gory scenes, but instead chooses to create a subtle unsettling feel while still giving horror fans what they want to see. The beginning of the film shows the family fleeing from England to a secluded town in the US, with all the family terrified that their father (Tom Fisher) would find them. 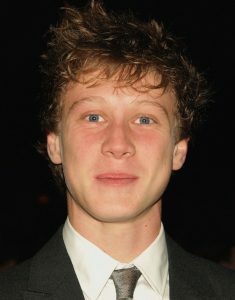 The film focuses on the Marrowbone family, with Jack (George MacKay) being the eldest sibling. Jack is forced to take care of his siblings when his mother passes away, keeping his mother’s death a secret from the outside world as he has not yet turned of age, meaning his family would all be split up. All the tension and danger at first is focused on the death of the mother, and the Marrowbone’s attempt to keep it a secret, however the plot is yet to thicken. The film jumps forward six months, after showing us a small glimpse of a man (guesses are that he is the dreaded father) attacking the house. Viewers are left to guess at what happened in those six months. Jack now has a huge scar on his forehead, all the mirrors in the house are covered up, and there is, what appears to be a mould patch on the ceiling that refuses to go away no matter how many coats of paint are applied. The youngest sibling, Sam (Matthew Stagg), is now terrified of a ghost that is supposedly haunting their home, Jack’s sister, Jane (Mia Goth), is trying to hold the family together, and troubled brother Billy, (Charlie Heaton), is fed up of being locked away in the house and becomes jealous of Jack. Jack starts a romance with a local girl, Allie (Anya Taylor-Joy). Allie’s boss, Tom, makes many attempts to seduce her, and even tries dirty tactics to get her to break up with Jack, such as telling her the truth about Jack’s father. The truth is that the Marrowbone’s father was a serial killer; the family fled from England after Jack took to the stand to help the prosecution send his father to prison. However, their father managed to escape from prison, and sought vengeance on his ‘back-stabbing’ family. Nearer to the end of the film, we finally get the answers we have longed for. We get to see what exactly happened six months ago, and low and behold, it was the Marrowbone’s father that attacked the house. Sam, Jane and Billy all hid in the attic while Jack went outside to attempt to get rid of their father. A struggle occurs between Jack and his father, with Jack getting hit with some sort of metal object, leaving a huge gash in his forehead and him unconscious. The father managed to climb down the chimney of the Marrowbone’s house and into the attic, and Billy picks up an object and is ready to fight him. Jack finally wakes up and rushes to help his family, but when he gets to the attic he finds all three of his siblings’ dead. The whole time, Jack has been living on his own and imagining his siblings; the moulding patch on the ceiling is actually where his siblings’ dead bodies are decaying. If that plot twist wasn’t enough for you, it turns out that the father who we assumed was dead, is actually alive and has been living in the attic since that terrible day. Tom stoops to a new low as he blackmails Jack into giving him money, in return for his silence about his father and his family’s tragic background. Unfortunately for him, he enters the Marrowbone’s house uninvited, and (for reasons unknown) decides to break down the attic door. Allie finds out the truth and rushes to find Jack but instead is met with a gory scene; Tom’s throat has been slit open and he is lay dying in a pool of his own blood. Viewers are left to wonder who exactly has attacked Tom, but for only a few seconds, as Jack’s father appears and attacks Allie. Jack finally faces his fear and goes into the attic to face his father, knowing that if he does, he will lose his siblings forever. Jack shoots his father dead and saves Allie, and in return, Allie helps him. The film ends with Jack receiving treatment for his many mental issues and disorders, while Allie discusses taking him home so they can live together. For such heart-wrenching plot twists, Marrowbone ends on a nice note. If you are a fan of Gothic Horrors such as The Others or The Orphanage, then you should be pleasantly surprised with what Marrowbone has to offer and its relatively straightforward plot (so no feelings of confusion like most other psychological thrillers out there). Unfortunately for us outside of Spain, Marrowbone won’t be available until July, so for now trailers will have to keep you going!